Al Ahly face hot reception at Esperance in African final - SABC News - Breaking news, special reports, world, business, sport coverage of all South African current events. Africa's news leader. Al Ahly's Walid Soliman celebrates scoring their third goal. 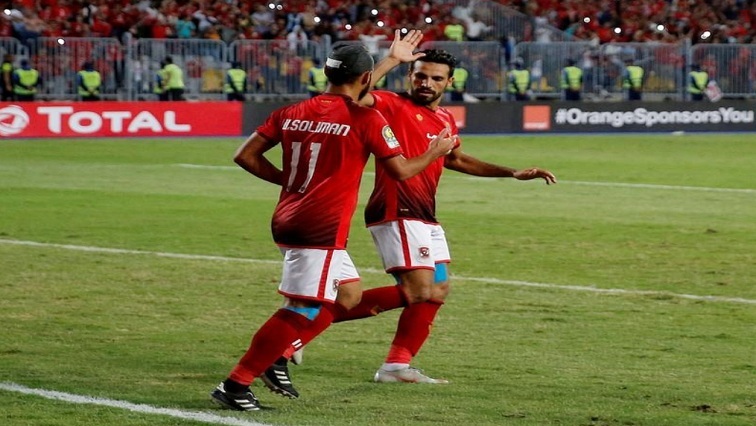 Egypt’s Al Ahly are clear favourites to extend their record streak of African club competition titles when they take a 3-1 lead over Esperance into their Champions League final second leg in Tunisia on Friday after a drama-filled build-up. The Moroccan-born striker was handed a two-match ban by the Confederation of African Football (CAF) on Tuesday for unsporting behaviour after being caught on camera tearing at his shirt and then trying to persuade the referee he was grabbed. This entry was posted on 08 Nov 2018,04:40PM at 4:40 PM and is filed under Sport, Soccer. You can follow any responses to this entry through the RSS 2.0 feed. Both comments and pings are currently closed.